The National Safety Council has said lives will be saved on Irish roads following the introduction of metric speed limits, which came into effect at midnight. 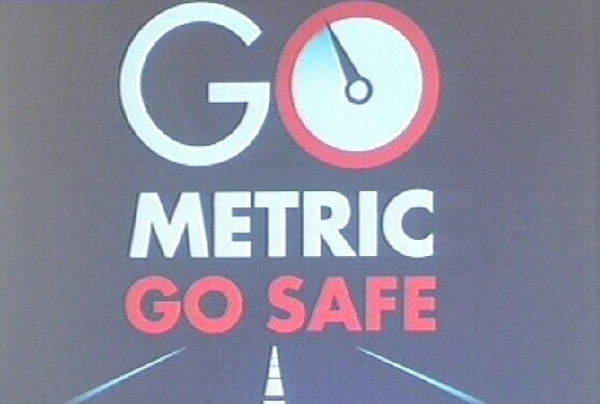 From now on speed limits will be measured in kilometres per hour rather than miles. There has also been a speed limit decrease on 91% of the country's road network. Gardaí say they are fully equipped to police the new metric speed limits but there will not be an extra level of enforcement today. Nearly 60,000 speed signs have been erected across the country. In cities and towns, 50km/h equals 31mph. On regional and local roads, 80km/h is equivalent to 50mph in the old system. On national roads, the new speed limit is 100km/h which is 62mph. On motorways, 120 km/h equals 75mph. Drivers are reminded that speed signs in Northern Ireland remain in miles per hour. A spokesman for the Garda Traffic Department said there was no leniency being shown in the initial days of the handover.